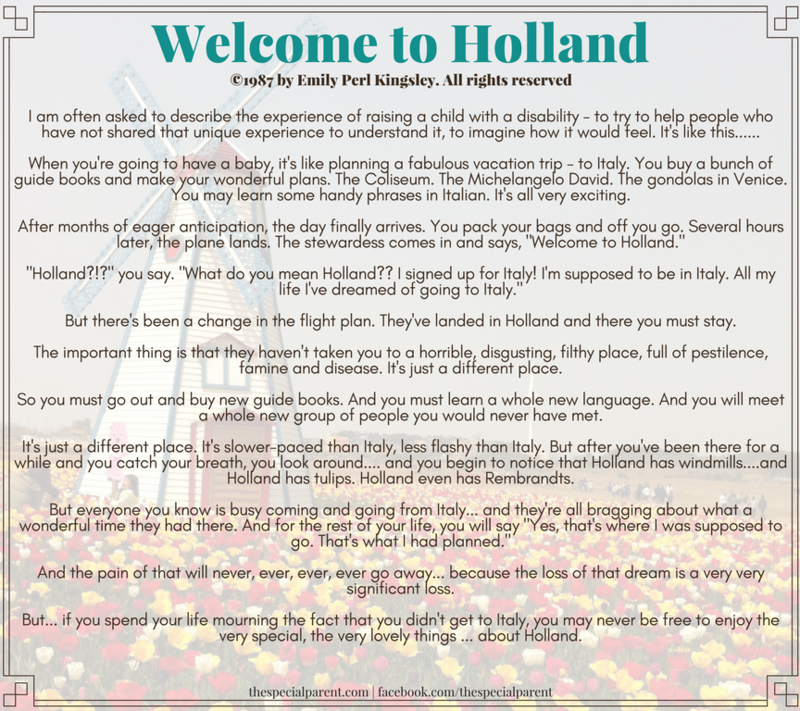 I shared the story Welcome to Holland by Emily Perl Kingsley a decade ago, when I started the Special Parent. It had been shared with me about a decade before that. Katherine would have been about 3-4 years of age. It moved me. I felt here was someone who understood what it was like to be thrown into the middle of the ocean without knowing how to swim. As the years progressed, I just wondered where Holland had gone. 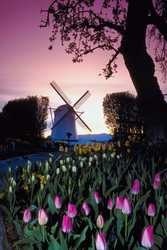 Holland has lovely windmills and scenic bicycle rides through fields of tulips. It had rides in boats through canals and wooden shoes. I’m not suggesting the early years were easy, but rather that the years got harder and harder. Am I just a jaded person after so many years? Beth seems to have taken the itinerary and landed way outside of Holland. As we all know, no one plans the exact same trip or finds the same difficulties along the way. 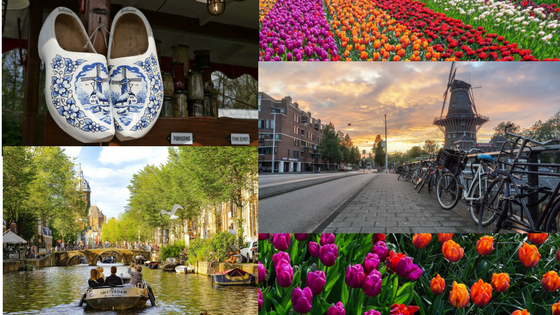 It’s just like Not An Autism Mom reminded me with her awesome post Autism is Nothing Like Going to Holland. I think she and I might have crossed paths at some point. Heaven knows our itineraries seem to have intersected. Ok, but what are you getting at? I want you to know you shouldn’t get discouraged if your trip isn’t looking like Holland OR Italy, or even the south of France. If you’re there, chances are there are other special needs parents there as well. It’s just a question of seeking them out. They may not live nearby, but thanks to the internet, they are still accessible. There are plenty of places like here and at The Special Parent on Facebook where you can find them. The special needs community is a truly remarkable group of people. You’ll find that most can’t wait to welcome you and help you get to where you’re going. You should also know that as we interact with others on this journey, that even while in the same metaphorical country, we’re all on our own path. If we’re new to the country, we may not even speak the same language. Ours is not to judge the path others are on, but to make sure we give them a hand up and lend them our map along the way. Too often I see really great parents on all sorts of forums to Facebook forgetting that we’re supposed to be here supporting one another. Regardless of the prism you see your life in as a special needs parent, it’s good to remember that it’s easier to travel the world with a friend. For those of you that have reached the end of this post and you’re thinking to yourself what the heck is this story she’s spent the entire post talking about…check it out below.